(CBS/AP) CHICAGO - Children with even relatively mild concussions can have persistent attention and memory problems a year after their injuries, according to a study that helps identify which kids may be most at risk for lingering symptoms. In most kids with these injuries, symptoms resolve within a few months but the study results suggest that problems may linger for up to about 20 percent, said study author Keith Owen Yeates, a neuropsychologist at Ohio State University's Center for Biobehaviorial Health. The results were published in the Archives of Pediatrics and Adolescent Medicine on March 5, 2012. Forgetfulness, difficulty paying attention, headaches and fatigue were more common in study children who lost consciousness or who had other mild head trauma that caused brain abnormalities on imaging tests, compared with kids who didn't get knocked out or who had normal imaging test results. The study looked at symptoms up to a year after injury so it doesn't answer whether any kids had longer-lasting or permanent problems. But, for that year, the report concluded that the children who had injury-related symptoms "significant functional impairment in their daily lives." "What parents want to know is if my kid is going to do OK. Most do OK, but we have to get better at predicting which kids are going to have problems," Yeates said. The study included 186 children aged 8 to 15 with mild concussions and other mild brain injuries treated at two hospitals, in Cleveland and Columbus, Ohio. The reports are based on parents' reports of symptoms up to 12 months after the injuries. The brain injuries studied were considered mild because they involved no more than half an hour of unconsciousness; 60 percent of kids with concussions or other brain trauma had no loss of consciousness. 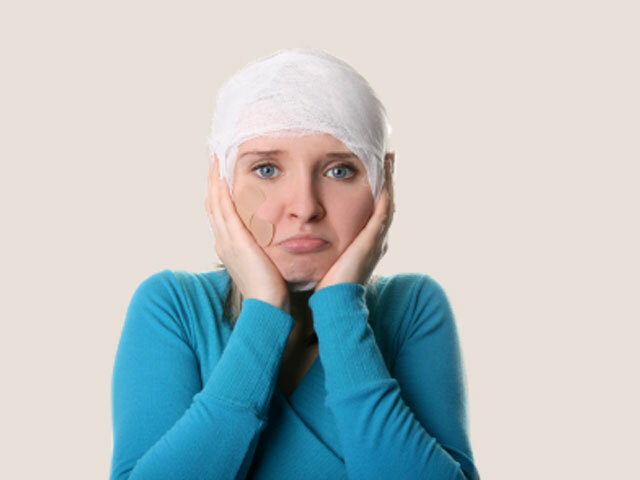 Overall, 20 percent who lost consciousness had lingering forgetfulness or other non-physical problems a year after their injury; while 20 percent who had abnormal brain scans had lingering headaches or other physical problems three months after being injured. The study adds to research showing that mild traumatic brain injuries, including concussions "should not necessarily be treated as minor injuries," Dr. Frederick Rivara, Archives' editor, said in a journal editorial. More information is needed to determine who is most at risk for lingering problems after these injuries, and to determine what type of treatment and activity restriction is needed, said Rivara, a pediatrician and University of Washington researcher. According to the CDC, if your child has any symptoms of a concussion - which include different sleeping patterns, mood changes or problems with cognitive processes - you should bring them to a medical professional. If the child is having a headache that won't go away, weakness or decreased coordination, vomiting or nausea, slurred speech, will not nurse or eat and/or is crying and cannot be consoled, they need to be taken to a hospital immediately.